As the search for fast internet connection became prevalent in the business world, the installation of fiber optic networks became a popular choice among business owners. Optical fiber promises numerous advantages to its end-users—certified fiber optic technicians can attest to this—and you can enjoy it too with the guidance of the Fiber Optic Association of Cebu. But before you can maximize this technology’s capabilities, it’s necessary that you let experts conduct fiber optic testing procedures first. There are several methods you can choose from to get the job done but before that, let’s discuss why fiber optic testing is important. The only way you can make the most of your business’ fiber optic network is by making sure that its performance is at an optimal level. For this reason, it’s necessary to test and evaluate your fiber optic’s components, cable plants, and systems. By conducting these tests regularly, you’ll be able to determine whether your network will work for your business or not. With that said, it’s essential that you use an accurate method for optical loss testing if you want to maximize your fiber optic network’s capabilities. As mentioned earlier, there are numerous methods you can make use of to conduct a fiber optic test in your company—there’s visible light source testing, optical time domain reflectometer testing, and power meter and light source testing. However, regardless of what approach you use to perform optical fiber loss testing, the important thing is that you achieve the benefits listed below. Once you enjoy these business perks, that’s the time you can truly say that you’re enjoying the business improvements that a fiber optic network has to offer. Because of the higher bandwidth and faster internet connection that fiber optic networks deliver, it became renowned that it is the ideal network when you’re running a business. But even though this is true, there’s still a chance that you won’t be able to enjoy the full power of your fiber optic network if you don’t conduct regular fiber optic testing. That said, it’s necessary for business organizations to test their systems if they want it to perform at its best every time. Aside from improving your fiber optic network’s performance, fiber optic testing can also increase the lifespan of your fiber optic system. It’s a known fact that system issues can occur at times when you least expect it. But even though this is true, you can do something to address these issues before it’s too late—and that’s through fiber optic testing. By conducting a fiber optic test on your network, you’ll be able to detect system issues at an early stage. In addition to fiber optic testing’s capability to help businesses repair and maintain their systems, it can also help them achieve reduced system downtime. 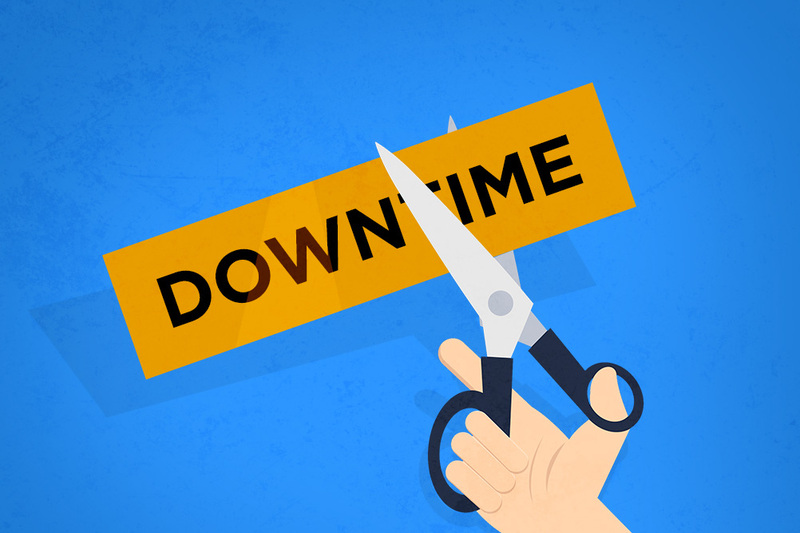 Without any doubt, the inconvenience that system downtimes can cause is frustrating for end-users. Through the early issue detection that fiber optic testing can do, you can perform the system maintenance necessary to make the dreaded downtime a thing of the past. It is unmistakable that technology is changing at a fast pace. For this reason, it is necessary for businesses to update or reconfigure their system if they want to gain a competitive advantage. Without the necessary regular fiber optic testing, it will be difficult for you to determine if your system is flexible enough for the system updates you want to perform. With that said, you can prepare your system for the possible system upgrades through fiber optic testing. Now that it’s clear why fiber optic testing is important for fiber optic networks, it’s time for you to know the good practices you should follow to get started with this. By doing that, you’ll be able to conduct these tests properly and get accurate results. Even the most experienced accredited fiber optic technicians need to remember these practices. Just like everything else, it’s necessary to be well-equipped for you to conduct an optical loss test successfully. 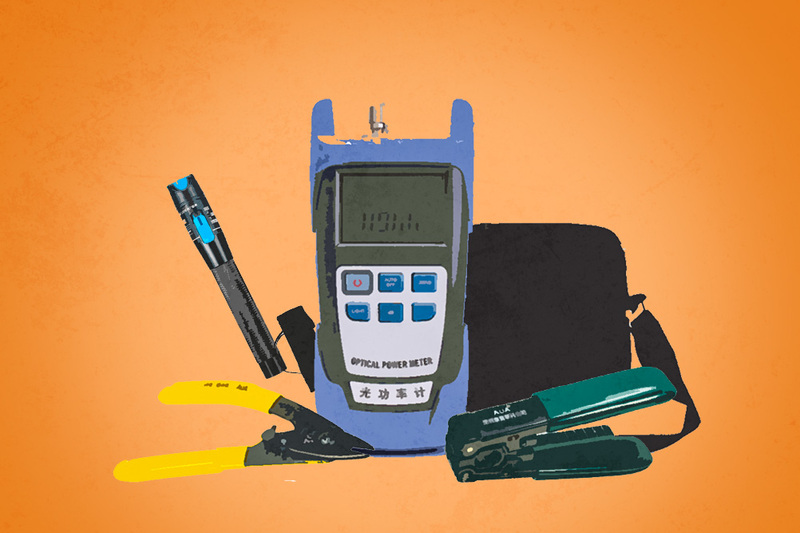 By having the right tools and equipment needed, you’ll be able to get the accurate results that can help you maintain and improve your fiber optic network. With that said, acquire the optical inspection microscope recommended by experts and the other tools and equipment necessary if you want to optimize your network. Also, you can also prepare the cleaning materials that you can use after you conduct this test to ensure that your fiber optic connectors would be free from contamination. After gathering the right tools and equipment you need, the next thing you need to do is to make sure that you and the installers know how to use them. Through this, you can get the assurance that the people you hire will get the job done. Aside from that, it’s also your responsibility to see to it that everything is working correctly. That’s why it’s advisable that you test all the fiber optic testing tools and equipment you need before buying them. In order for you to test your fiber optic network effectively and efficiently, it’s fundamental that you get to know your fiber optic cabling network first. With a copy of your fiber optic testing documentation in the past and your fiber optic cabling layout, you’ll be able to ensure that the next step you’re going to take will be good for your company. Furthermore, this will also help you keep track of the changes and configurations you’ve done in your cabling network. If you’re determined to conduct fiber optic testing in your company, there are certain things that you need to know before anything. For starters, the accuracy of the results you get from these tests can be affected by certain factors. 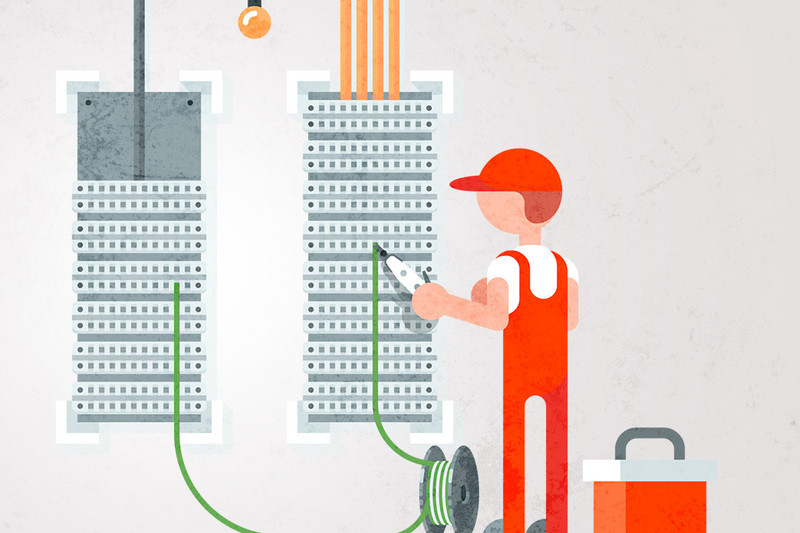 Before you conduct a fiber optic test on your network, you should see to it that you’re using the right type of test reference cord connector. Moreover, it’s also necessary that you check the quality of the cord connector. It may not seem like it, but even the end-face geometry of your cord connector can create a massive impact on your fiber optic testing’s results. With that said, you should make sure that the test reference cord connector you use has met the precise radius of curvature and fiber protrusion if you want to get accurate results. Another significant factor that can affect the optical loss measurement results you get is the compatibility of your test reference cords and link under test. A fiber mismatch is usually a result of existing fiber characteristics and independent techniques that are commonly used to join two optical fibers—this should be avoided to get the accurate results you want. If you want to get an accurate optical loss measurement, it’s important to keep an eye on your light source’s characteristics and how the light is coupled into the fiber optic cabling. In multimode fiber, the different distributions of launch conditions can give you different attenuation measurement results. That’s why it’s recommended that you pick the light source that possesses the necessary characteristics to conduct a successful fiber optic testing. As said earlier, it’s necessary to have the right testing tools and equipment for you to test your fiber optic network properly. That’s why you must see to it that the ones you get are appropriate for the components and cable plants you’re going to test. In the market, you’ll see that there are various types of testing tools and equipment you available. But among the many tools that you can use, you can start by getting these four testing tools for your company. The primary function of OLTS is to measure the optical power of your fiber. Through this tool, you’ll also be able to detect optical power loss. Furthermore, this tool consists of an optical power meter and a light source. VFL is also known as the visual fiber tracer. This tool is a red laser source that can check the continuity of the fiber. Moreover, it’s also an instrument that’s a great help in troubleshooting the faults that you find on an optical fiber cable. Many technicians also use the VFL to identify the fibers and connectors in patch outlets. This tool is undeniably a more sophisticated instrument of measurement. It is mainly used to measure optical power loss and fiber length. With OTDR, technicians can inject a series of optical pulses into the fiber under test to analyze the scattering light and its reflection. Through this, they can locate all the faults found in your fiber optic cables. Because of the limitations of man, there are certain dust particles, oils, and small scratches on fiber connectors that can’t be seen by the naked eye. That’s why it’s necessary for businesses that make use of optical fiber to have a fiber optic microscope. With this tool, you’ll be able to achieve a good fiber optic connector inspection and quickly get rid of whatever contamination you find.